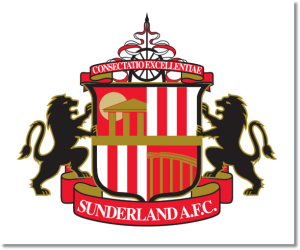 In this weekend’s preview for Sunderland v Norwich read up on my prediction along with analysis for the match in week 17 of the Premier League. Included with each match preview are statistics and betting odds to help with your own predictions. Sunderland enter Saturday having beaten Chelsea in the Capital One Cup. While not a massive tournament, it’s enough to provide them with some momentum, especially considering that it was Chelsea that they beat. Their outing against West Ham the previous weekend resulted in a 0-0 draw and some defensive solidity to build on while the previous match against Chelsea in week 14 was a hard fought 3-4 loss. Norwich’s last six matches has seen them go 3-1-2 with some good matches in there. The 1-1 draw at home to Swansea had some good and bad points. Taking the early lead was good for them, but giving up a goal just before half was quite disappointing. However, they had only 37% possession but were still able to get off 16 shots and hold on to a draw. These are some good signs for a team looking to climb back up the table and get away from a relegation battle. I’m going to go out on a bit of a limb and predict a Sunderland win. Yes, Sunderland is winless in 18 of their last 20, but there have been some signs of progress in recent weeks. Norwich has also looked better lately, but Sunderland’s Capital One Cup victory over Chelsea and the fact they are the home team gives them a bit of an edge. If you want a somewhat risky bet that could pay off, look at betting Sunderland for the win.